I remember watching Care Bears when I was a child. It’s cute to see that they are still popular with kids. 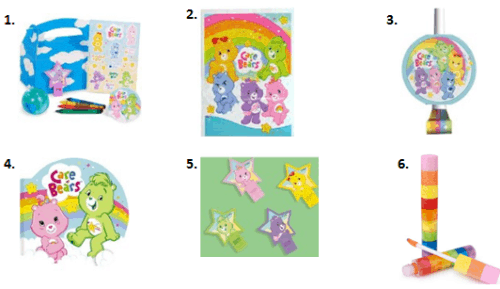 Did you know that Care Bears merchandise is still being marketed today? The Care Bears were created in 1981 and have appeared on TV since 1983. 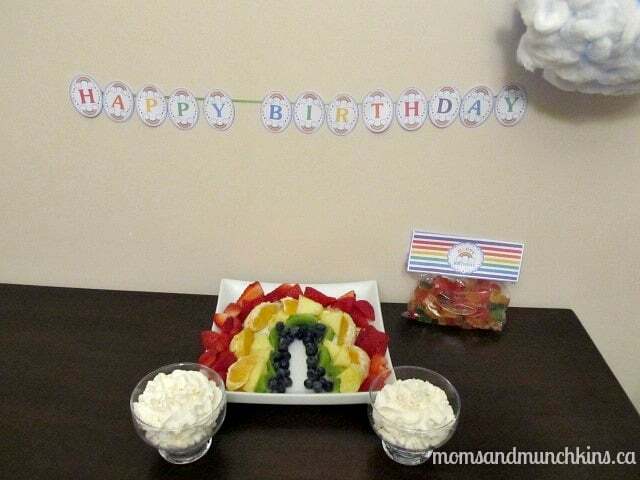 These fun Care Bears birthday party ideas are perfect for the little bears in your life! Throughout this post, you’ll see me refer to the fun & free rainbow printables from Printabelle (click here to see the adorable selection). These are perfect for a Care Bear birthday party! Invite your guests to a special party in Care-a-Lot with fun Care Bear printed invitations or make your own creation with fun rainbows and clouds. Each Care Bear has a special belly badge with some sort of magical power. You could create your own special belly badge to symbolize the birthday child and then have this printed for the front of a personalized invitation. The Care Bears live in a magical community called Care-a-Lot. This is a colorful community full of clouds and rainbows. Using rainbow colors as a theme provides so many fun opportunities! 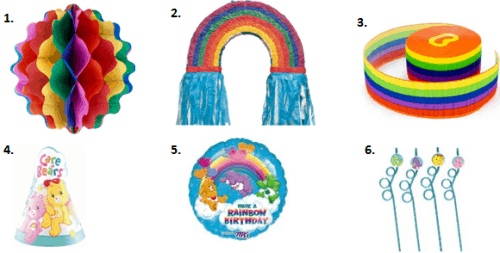 For a rainbow Care Bear theme you can use a variety of colors in balloons, rainbow streamers and table linens. A fun idea is to cover the outside of a balloon with cotton balls to create clouds. The cotton balls will likely weigh the balloon down so you’ll have to hang it up with something. Want to fill the party area with rainbows? You could purchase a fun hanging crystal to put in your window. As the sun shines through the window, so will a rainbow of colors! Microsoft free clip art is an excellent resource for creating your own belly badges. A sweet idea is to create a fruit rainbow with the colors purple (blackberries), blue (blueberries), green (kiwi), yellow (pineapple), orange (oranges) and red (strawberries). Line these up on a plate in the shape of a rainbow and label it Cheer Bear’s Fruit Salad. Each end of the rainbow could have a small dish of white dip for the fruit salad such as marshmallow creme or whipped cream. If you were a Care Bear, what would be on your belly badge? Stay updated on all the fun ideas for parties by following us on Facebook, Twitter, Pinterest and Bloglovin’. **Disclosure: I am part of the Birthday in a Box and Amazon affiliate programs; however, 100% of the opinions expressed here are 100% my own.